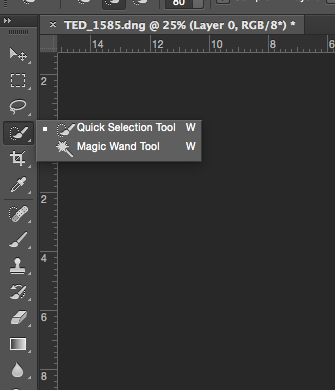 Photoshop has many advanced tools; it could even be said there are too many advanced tools! One of my favourites is “Quick Selection Tool”. 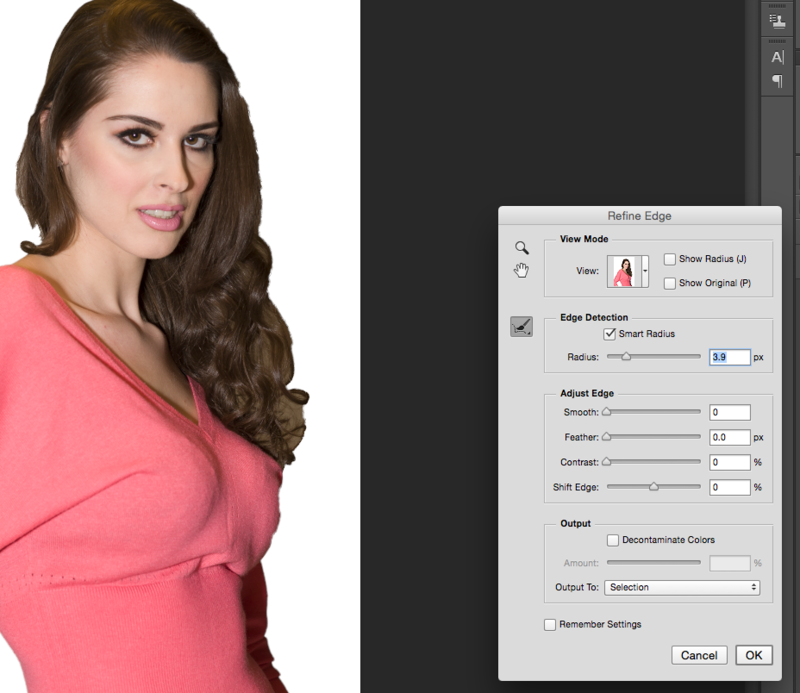 In this tutorial I am going to show you how to use the “Quick Selection Tool” to remove the background from your image. There are a variety of tools for removing backgrounds in Photoshop, but when it comes to areas such as hair or texture, the Quick Selection Tool is the only one that you want to use. 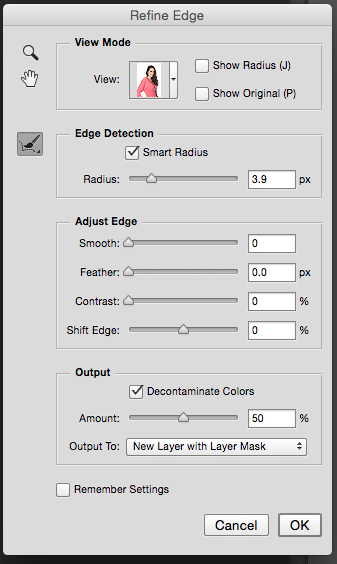 This tool can create a new layer with the layer mask which enables you to modify the selected area. This is a significant advantage, allowing you to mask or unmask areas in your selection as needed. For this example I opened the photo in Photoshop, selected the quick selection tool, then I brushed around my subject to select the area. Use Quick selection tool and bush on to your subject. If you make a mistake, just hold down the OPTION/ALT key and your brush changes to eraser. After you’ve selected the subject, go to the top menu and click on the REFINE EDGE button. In the new window check the SMART RADIUS and if needed adjust the slider to have clean edges. Now the fun part starts! In this example my model has nice curly hair and I want to separate the hair strands from the background. I picked the brush and started brushing around the head. By doing this Photoshop understands the colour of the background and removes it almost perfectly. After brushing the areas. You notice how Photoshop removed the background and kept the hair! Then under OUTPUT select NEW LAYER WITH LAYER MASK from drop down menu. Job is done. 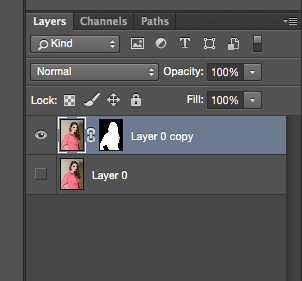 Photoshop creates a new Layer with Layer Mask for you, which you can modify as you wish. Layer and Mask for further editing! Now that you have your subject with the background masked out, you can move the photo over onto a new background. That is all for now. 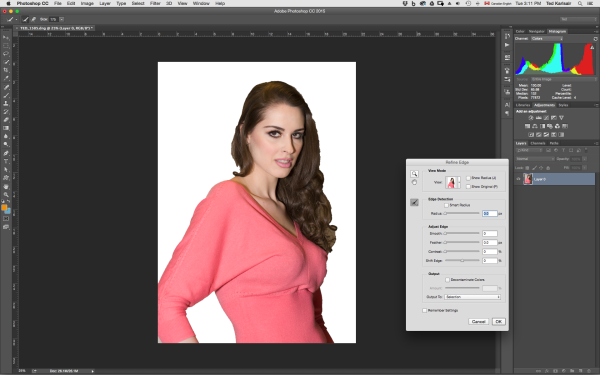 Stay tuned for my next tutorial: How to Create Digital Backdrop in Photoshop.